The pictures are outstanding. 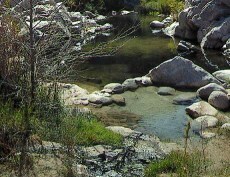 However, I couldn't find one related to Deep Creek Hot spring in California. I will keep looking though.